This matelassé collection has been in the pipeline for some time and we're thrilled with the results. 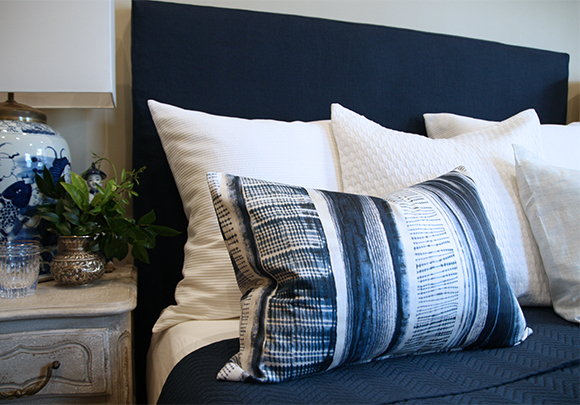 The collection is comprised of four designs: a chevron, an ottoman rib, an ikat and a honeycomb. 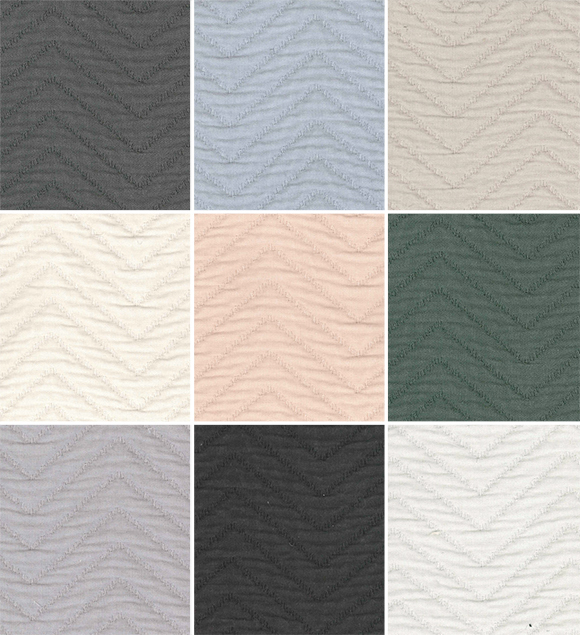 The chevron, 'Stitched', is available in 12 on-trend colours (a selection below). The other three - Matelasse Ikat, Reflection and Ruffled - come in the classic colours of Snow, Ivory, Parchment, Silver and a lovely watery colour called Whisp. 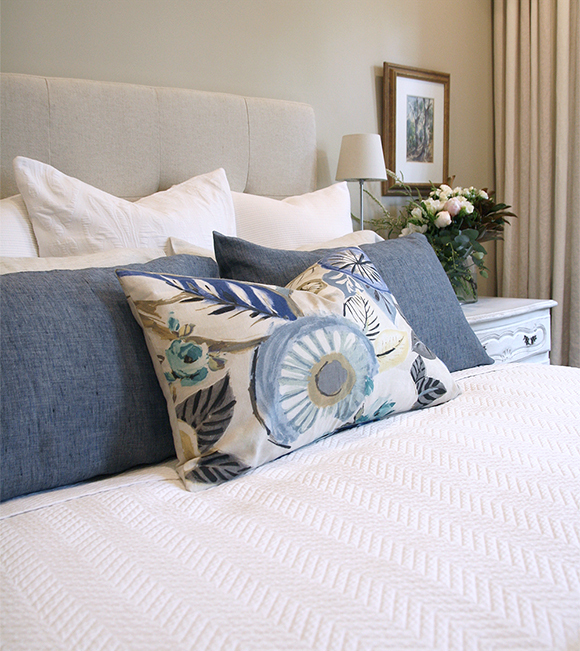 The designs are approx 277cm wide so perfect for top-of-the-bed and drapery uses. The composition is a blend of 90% Cotton and 10% Polyester, which is washable with a nominal shrinkage of 2%. In the coming weeks our Sales team will be showing these designs. Alternatively call into one of our showrooms and check out the Unique Matelasses for yourself.